There are individual specialists within the Chiropractic profession, as in medicine and dentistry. Through their extended education, training, and Board certification, they choose to advance their practice to a certain specialty to assist members of their profession and allopathic physicians in the diagnosis and treatment of a variety of conditions. Within the Chiropractic profession, there are specialists in radiology, orthopedics, physical rehabilitation and neurology. Typically, a Chiropractic Neurologist serves in the same consulting manner as a medical Neurologist. The difference is that the therapies or applications of a Chiropractic Neurologist do not include drugs or surgery. As a result, a chiropractic neurologist sees the treatment of certain conditions differently than a medical neurologist, and vice versa. The Chiropractic Neurologist often treats patients with a variety of movement disorders, dystonia, post-stroke rehabilitation, hemispheristic lesions, radiculopathy, and nerve entrapment syndromes that are consequences of peripheral or central types of lesions. This is done through a series of exercises which stimulate the patient’s nervous system in the areas of dysfunction. What does the training consist of? The training to become a Board Certified Neurologist in the Chiropractic profession is an additional three years after the doctor’s degree. This is conducted under the guidelines of an accredited university or college that is recognized by the U. S. Office of Education. During the training, there is a diagnostics and Residency-based/clinical training. After completing those requirements, the Chiropractor will sit for a Board examination in neurology, which is held once per year by the American Chiropractic Neurology Board. The examination involves 12 written scenarios specific to all aspects of neurophysiology and clinical neurology, as well as an oral examination which tests the clinical protocols, procedures, diagnostic, and therapeutic skills of the doctor. There are currently approximately 500 Board Certified Chiropractic Neurologist in the world. What is the basis for Chiropractic Neurology? The Chiropractic Neurologist is a specialist in the functional aspect of the nervous system and brain-based modalities. Recent developments in neurophysiology have given us the understanding that our brain is a receptor-based system that is constantly adapting and responding to the environment. Environmental changes, whether involving a change in temperature, visual information, position of our bodies, or the movement of a joint, are signaled to the brain via the activation of receptors. These peripheral nerves enter the spinal cord where they become pathways that transmit signals to our brain. The brain will then respond appropriately, sending a signal back to the body. What treatment does the Chiropractic Neurologist utilize? Once a person’s neurological lesion or area of dysfunction is identified, then various modalities such as chiropractic adjustments, neuromuscular reeducation exercises, auditory stimulation, different visual stimulations, and/or balance rehabilitation may be utilized to either increase or decrease function of areas of one’s nervous system. 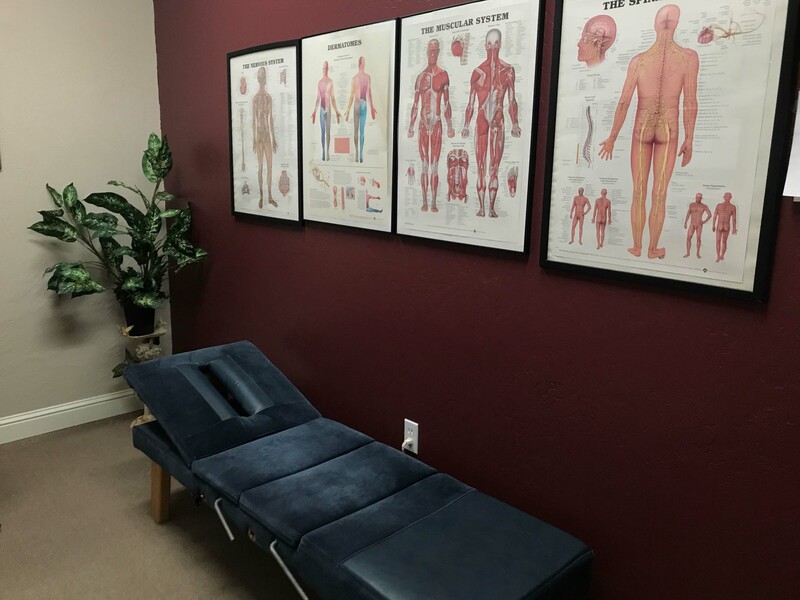 The Chiropractic Neurologist is specifically trained to determine the appropriate modalities and to determine one’s metabolic rate in order to maximize change. What is the difference between a chiropractic adjustment and joint mobilization? Various body workers from physical therapists to massage therapist have become aware of the great benefits of joint manipulation/mobilization and have, thus, made it a regular part of their practice. Chiropractors, however, are the only individuals who have received 4 years of formal training dedicated to the bio mechanics of joints and the art of joint manipulation. Furthermore, at Shasta Family Chiropractic, stress radiographs – x-rays taken while the spine is fully extended, flexed, or in side bending – are utilized to determine the specific axis of rotation of a vertebra. This allows the doctor and patient to objectively visualize the normal and abnormal bio mechanics of joints. Once these bio mechanical studies have been conducted, the doctor is able to appropriately administer an adjustment to restore the mechanics of the affected joint. It is of paramount importance that any practitioner intending to manipulate a joint should have a comprehensive understanding of the patient’s specific bio mechanical status.